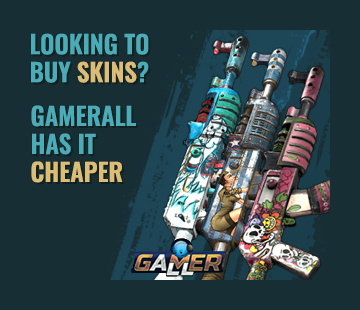 End game grenade often used in combat. Unlike the Beancan Grenade, the F1 Grenade is much more reliable as it does not dud or randomly explode. 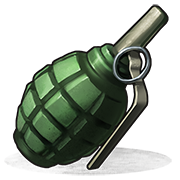 The F1 Grenade is a better suited for combat throwable, with the only similar to it being the more primitive Beancan Grenade, more suited for raiding than the F1 Grenade. The F1 Grenade has a fixed fuse of about 3-4 seconds unlike the Beancan Grenade which has a random fuse, which can either dud, explode in an instant or explode after a millennium. The F1 Grenade has 15 less damage than the Beancan Grenade, but in return costs half the gunpowder. It does A LOT, and I mean A LOT less damage than the Beancan Grenade to walls, buildings and etc, so it is ill-advised to use it in raiding. • gives off a sound upon landing on a surface, which will alert anyone near it. • throwing it in a specific arc so that when it lands, there's a second or less of the fuse remaining. • Explosive protection is a thing, but there is no exact way to counteract explosions fully with any set of armour, so this grenade will deal a devastating amount of damage if it hits, anyone healing behind cover is likely to get killed. So cheap to make, one or two of these are great for small raids, throw em right through the crack in their 1x2's airlock and they have a hard choice to make.